The cookies have arrived! Click the map to see where they came from. 212 sensational cookie recipes were submitted. Heartfelt thanks to all of you for your beautiful and delicious entries. So far, 40,000 people have clicked on your cookies. I'd say that's a pretty successful cookie swap. The three judges (all cookie-loving non-blogger friends of mine) will be pouring over your submissions over the next few days. 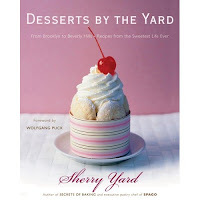 Please check back to vote for a winner who will receive a copy of Sherry Yard's new cookbook. Suganya of Tasty Palettes from the Southwest, USA. If you're still searching for a fast and easy cookie recipe to make in the remaining wee hours of the day, then try these deeply chocolate-y Chocolate Chews that can be made and popped in the oven in 15 minutes. Betherann of Muffin Love from Western Montana, USA. Betherann wanted to create a sweet recipe that included pistachios, pomegranate seeds, and mint. 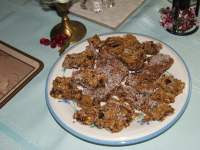 She succeeded beautifully: her crunchy, festively colored Biscotti Feste are ideal for a Christmastime treat. Johanna of The Passionate Cook from London, United Kingdom. After receiving an email requesting assistance in locating a recipe for German hazelnut cookies, Johanna launched a search. The result: her lovely Viennese Nut Meringue Cookies. Johanna of Green Gourmet Giraffe from Melbourne, Australia. Johanna was tentative about making cut-out cookies this year because sometimes they seem to be a little more style than substance. 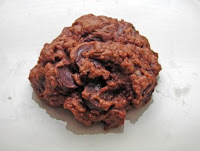 Not so with this unique recipe for Cranberry Choc Cookies that are made with sweet, rich condensed milk. These chewy, moist cookies are simply sensational when drizzled with melted chocolate. Style and substance. Definitely. Sailu of Sailu's Food from India. Sailu has been baking and baking for several days straight so she can give her friends and family homemade gifts. They will be delighted when they receive their gorgeously wrapped packages and downright tickled when they taste the yummy cookies inside. 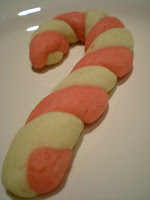 Sailu's playfully named Eggless Tutti-Frutti Cookies are a festive, fruity twist on basic sugar cookies. When you need an easy-to-make, pleasingly sweet cookie recipe, try Sailu's Eggless Corn Flakes Cookies. I figure since they're made with Corn Flakes, they can be considered breakfast food too. You might not want to tell the kids that though. 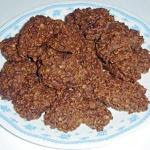 Sailu's Eggless Oats Cocoa Cookies are deeply chocolate-y and satisfyingly crumbly. Sailu says they taste even better with age. But you might have trouble finding out because these won't last very long. Tania of The Sweetest Gift from Perth, Western Australia. How could you not smile when presented with these splendidly decorated Red Velvet Cupcakes with Cream Cheese? They will bring instant cheer to anyone who sees them and a whole lot of contentment to those who eat them. Vijaya of Daily Meals from Singapore. Vijaya appreciates the beauty of cranberries and knows that they're delicious in dishes other than Thanksgiving cranberry sauce (though I love that too). Indeed, Vijaya enlivens basic butter cookies with dried cranberries and pistachios creating tart-nutty-buttery Cookies with Dry Fruits and Nuts. Pille of Nami-Nami from Estonia. According to Pille, Piparkoogid (Estonian Gingerbread Cookies) are so beloved in Estonia that newspapers have been compiling "best gingerbread dough of 2007" lists. Fortunately for us we don't have to read an Estonian newspaper for the best gingerbread dough recipe because Pille is sharing hers. Made with ground cloves, cardamom, and allspice, these gingerbread cookies are as spicy as they are redolent. 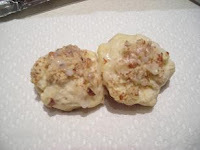 Pille has also made some Kokosmakroner (Danish Coconut Macaroons). These light, airy, vanilla-laced coconut cookies are ideal at Christmas time. Or any time, really. Katie of Thyme for Cooking from France. If you like lemon, then you will adore Katie's Lemon Bars. These little cookies pack a big punch of flavor because they're made with fresh lemon juice. The somewhat sweet, somewhat tart filling is thick and custard-y and oh-so-satisfying. 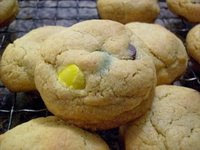 Plus with their vibrant yellow color, they will add sunshine to your cookie trays. Karyn of Hot Potato from Maryland, USA. 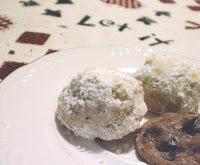 You may know them as Snowballs or Butter Balls, but Karyn calls her most treasured Christmas cookies Russian Tea Cakes. These buttery rich melt-in-your-mouth cookies are only enhanced when enjoyed with a cup of eggnog or hot cocoa. In fact, if you eat them this way on Christmas Eve, you'll wake up a little perkier on Christmas Day--really-- Karyn does. We all have one or two (hopefully not more). Despite our most valiant efforts, there is nothing we can do to stop it from happening. Cravings. For Karyn, it's nuts. Any kind of nuts. 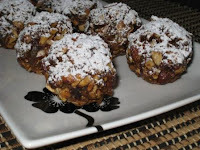 So she created nuttylicious (yes, I just made that up) Snazzy Snowballs made with cashews, walnuts, and almonds; add some dried fruit and roll them in snowy coconut, and you have the nuttiest Christmas cookie ever. Lalaine of The Cookmobile from Norwalk, California, USA. I'd much rather receive a delightfully packaged box of homemade cookies than an ordinary sweater or gift card. Lalaine agrees; that's why she is giving lovingly baked homemade treats to friends this year. No doubt her rich and creamy Lemon Delights will bring a smile to the recipients' faces. Made with lemon and cream cheese, they're like eating mini-cheesecakes. Apu of Annarasa from USA. Though Apu enjoys trying new cookie recipes at Christmas time, this year she turned to her tried-and-true recipes. As she was flipping through the pages, she was overwhelmed with beautiful memories of school time friends and baking with her Mum. 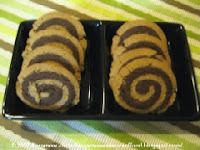 So she's sharing her favorite cookie of all with us: Cinnamon Chocolate Swirls. Baking these cookies will make lovely memories for you as well. Patricia of Technicolor Kitchen from Brazil. Patricia had been baking a lot of cookies lately, but she wanted just the right "Christmassy" cookie to share with everybody here. Her Ginger Chewies fit the bill deliciously. Baked with ground cloves, cinnamon, and molasses, these cookies are as beautifully fragrant as they are scrumptious. 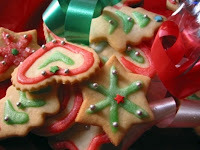 Amy of Nook and Pantry from Seattle, Washington, USA had a Twelve Days of Cookies at her site. Here is a delicious sampling of her baked goodies. 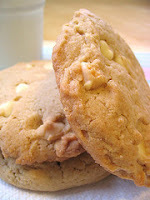 To kick off her twelves days, Amy made blond colored White Chocolate Cashew Macadamia Butter Cookies made with rich and creamy cashew macadamia nut butter. 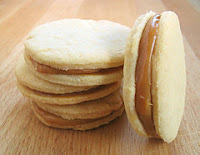 For a truly decadent treat, you must make Amy's dulce de leche filled Alfajores. Add some sparkle to your cookie tray with Amy's Brown Sugar Cookies topped with raw sugar crystals. Looking for the Best Oatmeal Cookies Ever? 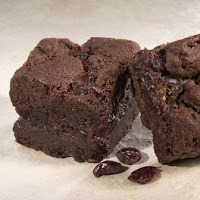 Amy's are baked with chocolate chips and tart dried cherries. For a perfect Christmas time biscotti recipe, try Amy's sweet-tart Orange Cranberry Biscotti. Amy saved the best for the last: Butterfinger Chocolate Chip Cookies. Yup, real Butterfinger candy pieces are baked inside of chewy chocolate chip cookies. Oh, my. Ronnie of Around the Table from Palm Harbor, Florida, USA. Sometimes your dearest friend isn't the one you've known since elementary school or roomed with at college. Sometimes she has a completely different heritage from yours. Yet, you share the same values, and she supports you in eveything you do. That's Ronnie's cherished friend Willa, who also shares a cherished recipe for Swiss Kekle. Paula of Half Baked from Alabama, USA. There aren't too many cookies Paula doesn't like, but her absolute favorite Christmas cookies are Russian Tea Cakes. She's not alone. 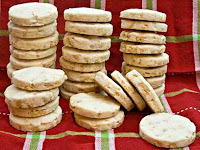 Like Paula says, sundry cultures have a recipe for these delectable shortbread cookies (think Mexican Wedding Cakes and Southern Pecan Butterballs). These "snow"-dusted treats are buttery, sweet, and nutty. Who wouldn't love that combination? Michelle of Bleeding Espresso from Calabria, Italy. Michelle's heart is warmed at this time of year when she remembers baking cookies with her mother. To make things even more fun for her daughter, Michelle's mom allowed her to invite friends over for cookie decorating parties. No wonder Michelle still adores baking Christmas cookies such as her lovely strawberry and apricot-jam-filled Thumbprints. Cindy of bands-aids required! from Seattle, Washington, USA. Cindy did what many of us are doing with 48 hours left until Christmas: falling back on never-fail cookie recipes. Her delightfully named Pummies (they're made with pumpkin) are easy-to-make and remarkably versatile. You can add anything from chocolate chips to crystallized ginger in these goodies, and they'll only taste better. Ronell of Myfrenchkitchen from France. Like a Chanel suit, some things never go out of style. The same can be said of Ronell's Hertzoggies, cookies named after General J.B.M. Hertzog, the prime minister of the Union of South Africa from 1924 to 1939. He had excellent taste: these pastry-like cookies are light and puffy and have a delectable apricot jam meringue filling. Suzana of Home Gourmets from Lisbon, Portugal. Suzana has finished her Christmas baking. All of her goodies are beautifully wrapped and ready to be given as gifts. Those lucky recipients will be all smiles when they open their packages and discover Suzana's Spicy Angel Cookies drizzled with creamy, rich white chocolate. Dorothy from North Providence, Rhode Island, USA (Food Blogga's mother-in-law). Walking into my mother-in-law's house at Christmas time is like stepping into a real life gingerbread house. 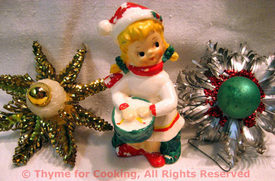 Every nook and cranny is decorated lovingly with Christmas angels, snowmen, holly berries, and soft, twinkling lights. It is also filled with the mouth-watering aromas of freshly baked goods including her fabulous Almond Biscotti, famous date-nut bread, and delicious Prune Rugelach. 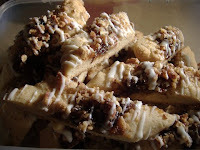 Dorothy's rugelach is pleasingly tender and sweet and pairs particularly well with a cup of hot tea. I speak from experience. I hope you will too. Pip of Zenzero & Cannella from Milan, Italy. I'm sure we can all relate to Pip. She had a list of new cookie recipes from blogs, cookbooks, and magazines that she planned on baking for Christmas but just ran out of time. So she went with a tried-and-true Christmas cookie favorite: her Almond and Raisin Cookies. They are satisfyingly sweet, elegant, and simple to make. Looks like the perfect choice, Pip. Tricia from The Endless Pursuit of Life Corvallis, Oregon, USA. After baking with her children, Tricia wanted a cookie to bake all for herself. Her choice: Cherry Snowballs. 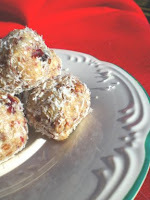 When you bite into one of these fluffy coconut-covered cookies you discover a candied red maraschino cherry inside. Tricia offers us a caveat: these mildly sweet cookies are deceptively addictive. You shouldn't take her word for it; instead, I'd suggest baking a batch (or two) for yourself. Susan of Food Blogga from San Diego, California, USA. 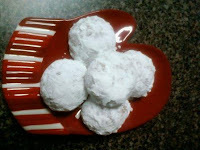 I'm sharing my second favorite Christmas cookie recipe for Chocolate Dipped Coconut Macaroons. I don't know which I love better: the fact that these cookies are so ridiculously easy to make or that they're so ridiculously delicious. OK, the latter. Chocolate and coconut trumps everything. 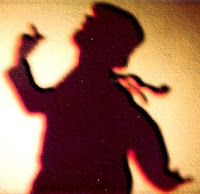 Mythreyee Paajaka from Cupertino, California, USA. 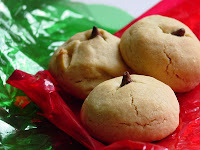 Mythreyee shares a recipe for a traditional cookie made in a unique way: Eggless Butter Cookies. Whether it's for health or personal reasons, sometimes you want a tasty treat that is made without eggs. Now you have one, thanks to Mythreyee. Maya of All about Konkan from Texas, USA. What do you make when you have to bake cookies without frosting, icing, nuts, or too much sugar? Oh, and they have to make an entire elementary school class happy too. The answer: Maya's playful Cookies with Marble Effect. They come in a rainbow of colors and will put a smile on any student's (or teacher's) face. Madhavi of My Veggie World from Tampa, Florida, USA. With only 4 days left until Christmas, you'll want to give Madhavi a great, big hug for sharing her recipe with you. That's because you can make three different types of sugar cookies all from one eggless dough. Brilliant. 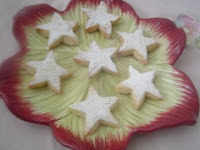 Using a star cookie cutter, you can make these cheerful Sugar Dusted Stars. 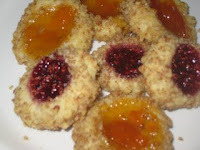 If you'd like something a little sweeter, then try Madhavi's Jam Thumbprints with your favorite fruity filling. Jules of Domestic Goddess in Training from England. 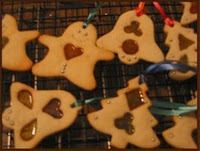 Jules shares a recipe for truly lovely cookies: Stained Glass Biscuits. You can even make Christmas tree ornaments out of these cookies and watch the twinkling lights glisten through their "windows." What a beautiful sight that would be. Andrea of Andrea's Recipes from Virginia, USA. 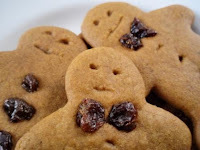 Andrea's husband remembers fondly baking gingerbread men with his mom when he a child. Now he and Andrea are continuing the family tradition with their three sons. Andrea says she used "minimalist" decorations: raisins for eyes and cherry mouths. 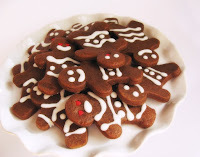 These are homey, sweet Gingerbread Men that look just just as they should like --like they were made with love. Tracy of Rah Cha Chow from Rochester, New York, USA. 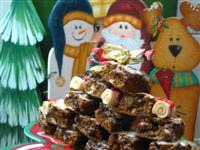 Tracy will make her Special Scotcheroos at Christmas time only. Why? Because she has a waistline she'd like to keep, and if these chewy, gooey, crispy, chocolate-y treats were in the house all the time, she'd never be able to stop herself from eating them. Don't worry Tracy, I wouldn't be able to stop myself either. Carol of Oh for the love of food! from Perth, Western Australia. Now that Carol's Christmas shopping is complete, she can do what she really wants to do: spend quality time with her family. Carol, her husband, and her two beautiful daughters had a marvelous time baking Christmas Gingerbread Cookies, and she's sharing the recipe with us today. Tara of Smells Like Home from Middlebury, Connecticut, USA. Tara's mom adored Pepperidge Farm Milano cookies so much that she would actually hide them from the kids so they wouldn't eat them all! Tara understands. 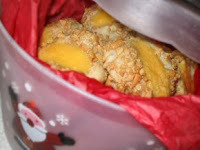 She now shares her mom's adoration for the cookies (especially orange Milanos), which is why she created this unique, scrumptious recipe for Chocolate Dipped Orange Butter Cookies. Pepperidge Farms better watch out because these look better than the original. Claire of Cooking is Medicine from Jackson, Mississippi, USA. 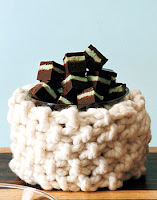 There is something oh-so-Christmas-y about minty-chocolate treats at this time of year. If you haven't made one yet, then try Claire's Christmas Mint Brownies. When one treat can be described as fudgy, rich, decadent, moist, intensely chocolate-y, and cakey (and has festive green mint filling), it simply has to go on your must-bake list. Daphne of More than words from Perth, Western, Australia. With only five days left until Christmas, what we really need are some fast and easy cookie recipes. Daphne shares a winner with us today--her Santa's Little Buttons. They can be made in less than 30 minutes, and you don't even need an electric mixer! Pretty, colorful, and satisfyingly sweet, these cookies are just what you've been looking for. Carol of Oh for the love of food! from Perth, Western Australia. Carol sends her wishes to all for a happy and safe holiday season. She also shares a recipe for Mary's Butter Balls that make a lovely Christmas present if you're still looking for some last minute gift ideas. Rossella of Ma che ti sei mangiato from Rome, Italy. Cookies and love ... it doesn't get much sweeter than that. 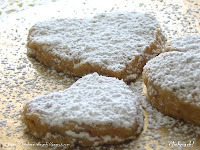 Rossella knows this because she is sharing a fantastic recipe for sweet and cheerful jam filled cookies that helped bring romance into her life. 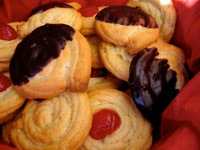 Visit Rossella's blog to see her recipe for Nidi con la Mamellata (Jam Nests) and to read her story. Tracy of Rah Cha Chow from Rochester, New York, USA. Since Tracy didn't get to bake too many of her treasured Christmas cut-out cookies when she was a child, she makes sure to bake a batch every year now that she's an adult. 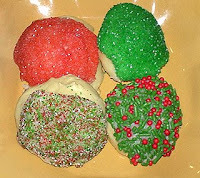 Her Rich Rolled Cookies decorated in a carnival of colors are a must bake cookie for the Christmas season. Pamela of Pamela's Kitchen from Birmingham, Alabama, USA. Every year Pamela eagerly awaited a Christmas package full of baked goodies from her grandmother. And every year Pamela would delight in her grandmother's Jam Thumbprints. That's why she makes them every Christmas and cherishes those sweet memories. Asha of Foodie's Hope from North Carolina, USA. 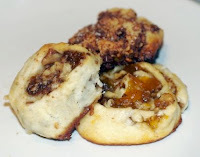 Asha presents her unique version of Rugelach, a traditional Jewish cookie made with sweet dried fruits and nuts. Here she uses tropical fillings like papaya jam as well as rich fillings like luscious Nutella. 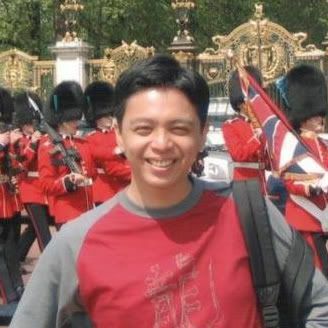 Nicisme of Cherrapeno from Kent, United Kingdom. I didn't think that pecan pie could be bested. I changed my mind when I saw Nicisme's recipe for Pecan Pie Cookies. It's like taking all of the sugary, gooey, nutty goodness of a whole pecan pie and packing it into mouth-watering morsels. Namratha of Finger Licking Food from Atlanta, Georgia, USA. Namratha's adoration for Ferro Rocher hazelnut chocolate candies inspired her to create this recipe for Chocolate Hazelnut Cookies. These exquisitely rich cookies are made with a combination of creamy Nutella chocolate hazelnut spread and crunchy toasted hazelnuts. Like Namratha says, "bliss." Katie of Salt and Chocolate from Aurora, Illinois, USA. 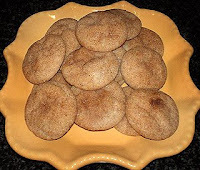 What could be better than oh-so-sweet cinnamon scented Snickerdoodles? Spiral Snickerdoodles. Better watch out, the kids are really gonna gobble these up in a hurry. Katy of Sugarlaws from New York, New York, USA. With only six days left until Christmas, you may need an easy cookie recipe; look no further than Katy's Truffles. 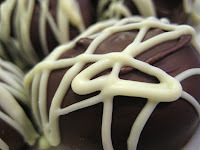 Katy says the secret to perfect truffles is to use really good dark chocolate and cream. Then let your creativity soar--spike them with liqueur, roll them in chopped nuts, or cover them with festive crushed candy canes. Any way you make them, they are utterly divine. Anali of Anali's First Amendment from Quincy, Massachusetts, USA. These beautifully, symbolically named World Peace Cookies are ideal for Christmas or any time of the year, as Anali can attest. It's no wonder she has baked these cookies countless times. They're slightly sweet, slightly spicy, slightly chocolate-y, and wholly delicious. Jaime of Good Eats' Sweet Treats from Dallas, Texas, USA. Jaime just moved up on Santa's "nice" list. 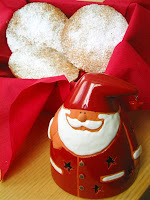 You can too by making her recipe for Santa Claus Sugar Cookies. 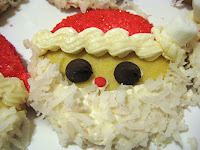 With a fluffy coconut beard, Santa has never looked so jolly. If you really want to score some brownie points with Santa in a hurry, then make Jamie's Rudolph's Christmas Sugar Cookies too. The pretzel antlers take a little bit of effort, but just think how grateful Santa will be when he sees them. I think Mrs. Claus will be pleased to nibble on Jaime's elegant Almond Crescent Cookies. These light, buttery, nutty flavored cookies will only be enhanced by dipping them in rich chocolate, like Jaime did. If you're feeling indulgent, then save yourself a trip to the mall. Skip the clothes or the perfume and treat yourself to Jaime's sinfully decadent Cookie Dough Truffles. Drizzle them with creamy white chocolate and these truffles are simply irresistible. Ronell of Myfrenchkitchen from France. 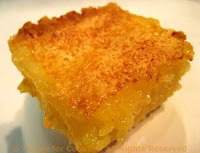 Making lemon squares always evokes memories for Ronell--of her sister Trudie. Hence, the recipe for her aptly named Trudie's Lemon Squares. This no-bake cookie is a cherished treat in Ronell's family, and it will be in yours as well once you make them. They're refreshingly sweet and zesty and are lovely for Christmas, tea parties, or any special occasion. Food Hunter's Guide to Cuisine from Arizona, USA. Every Christmas, the children in Food Hunter's family eagerly anticipated her grandmother's Sponge Cookies. In fact, they would stand next to the stove, candy sprinkles in hand, just waiting to decorate them. So it's natural that Food Hunter makes these cookies every year and remembers her grandmother with love. Katie of Good Things Catered from Washington, D.C., USA. It's not surprising that Katie loved them as a child and still loves them as an adult: her Candy Cane Cookies would make anybody feel like a kid again. These big, puffy, sweet treats made of twisted red and white dough will add a little cheer to everyone's Christmas this year. Laurie of Tastes Like Home from Anchorage, Alaska, USA. Christmas just wouldn't be Christmas without Torrone, the Italian nougat candy. However, after seeing Laurie's recipe for Christmas Nougat Cookies, I think I'll be saying that Christmas just wouldn't be Christmas without Laurie's-better-than-Torrone nougat cookies. It may be wordier, but it's true. Liz of Food Snobbery from St.Paul, Minnesota, USA. Liz is feeling a little baked out right now--she made four huge batches of Christmas cookies this past Sunday. Lucky for us, she is sharing the recipe for the best of them all: her Cranberry Pistachio Lime Shortbread. 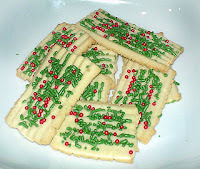 These shortbread cookies have an intriguing combination of flavors and with red cranberries and green pistachios they are positively merry. Janelle of Talk of Tomatoes from Seattle, Washington, USA. What child doesn't love cereal, marshmallows, and fantastically colored food? So they will be tickled to see these festive Wreath Cookies with "Red Hot" holly berries on your Christmas cookie platter this year. Made with Rice Krispies, Corn Flakes, and green food coloring, these cookies are as delicious to make as they are to eat. Susan of Sticky, Gooey, Creamy, Chewy from Sarasota, Florida, USA. As a musician, Christmas music holds a uniquely special place in Susan's heart. Singing these rousing and emotional hymns also makes Susan think of deeper issues of peace and violence in our world today. 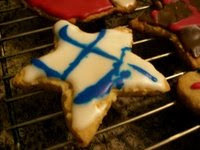 As a result, she shares a recipe for World Peace Cookies, a symbolic gesture of spreading peace throughout the world. Cris of From Our Home to Yours, from Sao Paulo, Brazil. 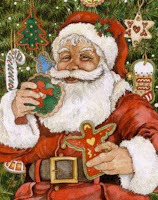 Did you know that the tradition of leaving milk and cookies for Santa started only in the 1930s during the time of the Great Depression? The thinking went if you were nice to Santa he'd be good to you and if you were naughty, it couldn't hurt to bribe him with some cookies! Since Cris is so sweet, I don't think she'll have to worry about Santa being good to her this year, but leaving him a plate of her Fruity Pastel Cookies couldn't hurt. Ames of yay pie! and hooray for bananas! from Pittsburgh, Pennsylvania, USA. 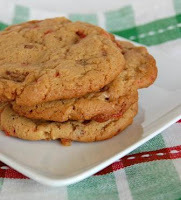 What would a Christmas cookie round-up be without Peanut Blossoms (also known as Peanut Butter Kiss Cookies)? Thanks to Ames we won't have to find out. If you've ever made these classic Christmas cookies, then you know that the Hershey's kisses always falls off the top of the cookies. They won't if you follow Ames's advice and bury the chocolate kiss inside the cookie dough. Brilliant. Marie of A Year from Oak Cottage from the United Kingdom. Marie has been busy decorating her Christmas tree with gingerbread boys, candy canes, and stringed popcorn. 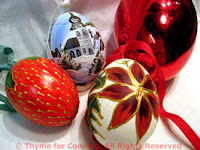 (Check out her post to see the precious ornaments.) She has also found time to whip up a batch of her Christmas Split Seconds made with Christmas-y mincemeat and topped with a sugary, crunchy streusel. Now she can nibble on her cookies while she admires her lovely Christmas tree. T.W. of Culinary Types from Long Island, New York, USA. T.W. presents a true Christmas cookie classic: Chocolate Crackles, named so because of the "crackling" sound the sugar coating makes when you bite into them. If you've never had chocolate crackles, then put them on your must-bake list right away. The only thing that makes them better is washing them down with a cold glass of milk. Arundati from Escapades from Hyderabad, India. Arundati never would have believed that baking could be fun. That is, until she purchased The Cookie Book with over 300 recipes to choose from. Now she really does think baking is fun, which is good for us, since she is sharing a recipe for easy-to-make and delightfully festive Chocolate Pinwheels. Who doesn't love milling around a bazaar full of unusual knick-knacks? After spending some time (and money) at the bazaar on St. James Street, Arundati came out with a treasure chest of baking tools. Of course she had to use them, so she made a heavenly cookie: Date and Fig Ravioli. No wonder why dates and figs were considered foods for the gods. Rosa of Rosa's Yummy Yums from Geneva, Switzerland. Rosa shares a recipe for a classic Christmas cookie found in Denmark and Germany: Pfeffernuss (feh-fer-noose). The name literally translates to "pepper nuts" which makes sense if you know that Pfeffernuss are laced with ground white pepper and other savory spices. These biscuit-like cookies are both sweet and spicy and purely delightful when topped with Rosa's zesty lemon icing. Elly of Elly Says Opa! from Chicago, Illinois, USA. Everything's better with butter. It's true. That's why Elly's Greek Kourambiedes are so delectably moist and rich. They're made with a lot of pure, unadulterated, satisfying butter. With crushed almonds baked inside and a shot of ouzo or brandy, these cookies will be a hit at any holiday party. Melinda of Melbourne Larder from Melbourne, Australia. It's crunch time in Melinda's kitchen. With only a few days until Christmas, she has a lot of whipping and rolling and decorating still to do. Melinda's making homemade gifts for friends and family and wouldn't think of not including her simple-to-make, easy-to-transport, and delicious-to-eat Spiced Biscuits. Gretchen Noelle of Canela and Comino from Lima, Peru. Want to dream of chocolate tonight? Then make a batch of Gretchen Noelle's Double Chocolate Dream Cookies. These rich, chewy cookies could only be improved by pairing them with a glass of milk as a bedtime snack. Sweet dreams. Loulou of Chez Loulou from the south of France. Want to heat things up a little for Christmas this year? Then make Loulou's intensely chocolate-y cookies with a kick--a cayenne kick. These Peppery Chocolate Cookies are laced with aromatic cinnamon and zippy cayenne pepper. It's no wonder they're a favorite every Christmas at Loulou's house. Ivy of Kopiaste from Athens, Greece. Ivy is counting the hours, minutes, and seconds till Christmas Day. In the meantime, she has been baking Christmas cookies. 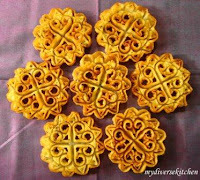 Ivy shares Kaleidoscope Cookies, a slightly modified and more kid-friendly version of kourapiedes, classic Greek Christmas cookies. Children will not only love to eat these treats, they will also love to bake them. So get in the kitchen with the little ones and have some fun making these colorful goodies. Michelle of Culinography from Raleigh, North Carolina, USA. My father always told me never to procrastinate. If something has got to be done, then it should be done now. Fortunately, Michelle did not heed that advice. Since many of the cookies she had intended to bake were already submitted, Michelle had to find a new one. 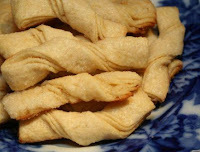 Her beautiful lace-like Swedish Almond Wafers are thin, light, and pleasingly buttery. Clearly, it does pay to wait. Judy of Judy's Gross Eats from Ventura, California, USA. Though Judy likes to "audition" a few new Christmas cookies recipes every year, she wanted to share a real winner with us: her Springerle fits the bill deliciously. 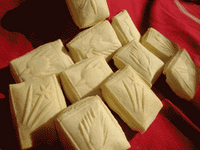 These delicate cookies are laced with anise flavor and lemon zest, and most especially, rolled out with her mother's original decoratively carved rolling pin. Zlamushka of Zlamushka's Spicy Kitchen from Denmark. Zlamushka's been feasting on many traditional Danish Christmas dishes--pickled herring, fresh rye breads, meatballs, and, her favorite, Brune Kager, Skarne (Brown Cookies). 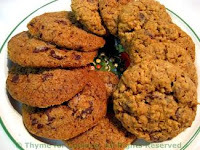 Made with allspice, cloves, and ginger, these cookies are fabulously aromatic and spicy. Since Zlamushka simply couldn't stop eating them, she had to get the cookie recipe, which she is generously sharing with us. Sharona May of Bird Food from Georgia, USA. Sharona May got such rave reviews the last time she made fudge that she decided to make another batch with a Christmas twist. Red and white twists actually. Sharona's rich, chocolate-y Peppermint Fudge is chock-full of zingy crushed candy canes. Now that's Christmas-y. 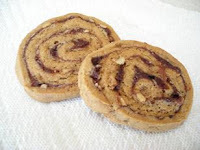 Kate has always adored her mom's date bread, so she was thrilled to find a cookie recipe for Date-Nut Pinwheels. A little chewy, a little gooey, and a lotta sweet. 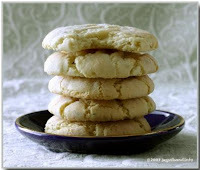 Kate's creamy, rich Lemon Cream Cheese Cookies are like eating mini-cheesecakes. Yes, mini-cheesecakes. Need I say more? Sophie of Scarlet and Friends from Cyprus, Greece. 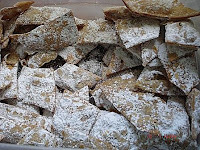 Sophie shares Kourambiedes, traditional Greek butter cookies containing almonds. With a little help from her mom, Sophie presents a unique twist on this classic cookie: she stuffs each cookie with almonds, making for a crunchier texture, bolder flavor, and more deliciously named Stuffed Kourambiedes. Amanda of Slow Like Honey from Sacramento, California. Amanda has made a confession: she was an avid fan of The Spice Girls, especially fiesty Ginger. (Hey, cut her some slack, she was in the 5th grade). 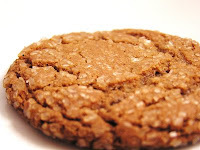 Amanda has outgrown her love for the Spice Girls but not for spicy cookies, which is why she shares a recipe for crunchy, sweet Sugar-Topped Molasses Spice Cookies. Food Hunter's Guide to Cuisine from Arizona, USA. Food Hunter is in charge of the holiday cookie baking so she gets to select all the cookies. (Now that's a cool job.) This year she added a recipe for simple-to-make and simply delicious Cinnamon Cookies. With cookies like these, I don't think she'll be losing her job any time soon. Ann of Redacted Recipes from Brooklyn, New York, USA. Ann and I have mutual friends: Bing, Rosemary, Vera, and Danny. We see them every December, and remarkably, they always look the same. If you haven't seen Irving Berlin's White Christmas, then go rent it today. It's an absolute delight. 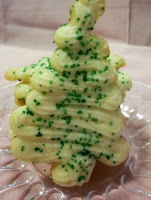 And make a batch of Ann's White Christmas Cookies to nibble on while viewing. Megan of Megans Cookin from Redding, California, USA. Want a cookie that has it all? 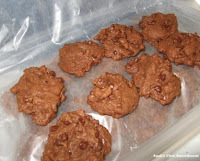 Then make Megan's recipe for Chocolate Truffle Cookies. These scrumptious treats have a trio of chocolate in them: bittersweet, semi-sweet, and cocoa. These truffles are just what you need for a quick chocolate fix. Danielle of Habeas Brulee from Brooklyn, New York, USA. After Danielle purchased some dried strawberries and chestnut flour at the market, she was inspired to make something delicious with them. 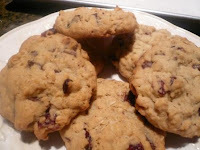 After tweaking a recipe for Nibby Buckwheat Cookies, Danielle created Nibby Strawberry Chestnut Cookies. She succeeded. Delicious. Deeba of Passionate About Baking from Gurgaon, North India. One of the merriest ways to bring holiday cheer into your home is to decorate your tree with Christmas Tree Ornament Cookies. 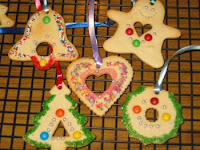 Children will delight in making the cookies then seeing their creations on the Christmas tree. Oh, to be a kid again, and to be at Deeba's house. Caroline of A Consuming Passion from London, UK. Is there anything more beautiful than the phrase "intensely chocolate"? So I'm thrilled to see Caroline's recipe for Intensely Chocolate Shortbread. She was hoping the chocolate would make this a more kid-friendly shortbread. It has, Caroline, but save some for the adults too before they're all gone. Nemmie of Cast Sugar from Lawrence, Kansas, USA. Nemmie feels bad. She tried desperately to think of the "perfect" cookie to submit, but after a particularly hard day, decided to go with an old stand-by: Molasses Cookies. Nemmie need not feel bad at all. These cookies do what Christmas cookies are supposed to do: evoke memories of family, make you feel warm inside, and bring a little cheer to those who enjoy them. Well, Nemmie, looks like you chose the "perfect" cookie after all. Paul from Rhode Island (Food Blogga's dad). I always said that no one could make pizzelle like my grandmother, Nan. It's true. Now that her son-in-law, my dad, has been making them, I find myself saying that no one can make pizzelle like my dad. That's true too. My family enjoys Dad's Italian Pizzelle not only at Christmas time but at Easter, birthdays, and all types of family get-togethers. If it weren't so humid in RI in the summer, he'd probably make them for the Fourth of July too. Even though we live in California, Dad never forgets us; our FedExed care package of pizzelle arrives soon after he finishes baking them. His cookies are oh-so-good--slightly thick and chewy and laced with fragrant anise seed. The only thing that would make them taste better would be sitting down with Dad and enjoying them with a nice cup of coffee. Bal(Banu) of Karafakiden Tatlar from Instanbul, Turkey. 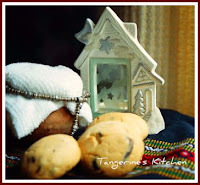 Bal(Banu) shares lovely, delicate Lavender Biscuits. Her recipe is refreshingly easy to make (and with only 10 baking days left, you need all the fast and delicious recipes you can find). Plus just imagine how redolent your home will be when these biscuits are baking in the oven. Mandy of Fresh From the Oven from St. Louis, Missouri, USA. Mandy recently baked her first Christmas cookies of the season. I think she's going to run into a problem: How will she ever top these two cookies? 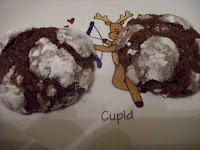 Mandy's first mouth-watering recipe is for Hot Chocolate Cookies. Not only are they made with Godiva hot chocolate cocoa mix, but they are also topped with a pillowy marshmallow and drizzled with chocolate. Oh, my. If you think Mandy's Coffee Hazelnut Cookies couldn't get better, think again. She dipped them in chocolate ganache for guests the other night. Which version would you prefer? Mandy says, "I think I like the version with ganache better." Uh. Ye--ah. Alanna of A Veggie Venture from St. Louis, Missouri, USA. If you haven't yet found the "perfect" cookie you've been searching for, then call off the search. 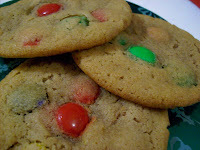 Alanna shares her friend Kathy's recipe for Perfect M & M Cookies. They're so satisfyingly chocolate-y and chewy that Kathy's been bringing them to the same Christmas cookie exchange for 15 years. The other ladies won't let her bring anything else! Gretchen Noelle of Canela and Comino from Lima, Peru. Excuse Gretchen Noelle if she is feeling a little hyper. She's been eating a lot of Almond Coffee Biscotti. Who could blame her? She loves coffee, so naturally she adores these biscotti. The best part is since they're baked with coffee, you can justify eating some for breakfast. Cakelaw of Laws from the Kitchen from Australia. Cakelaw shares her sweet Spiced Gingerbread cookies which are not only delicious to eat but also make adorable Christmas tree decorations. What child (or adult) wouldn't delight in a tree covered with aromatic gingerbread cookies? Chris of Mele Cotte from Atlanta, Georgia, USA. Chris's family loves Italian Almond Bars. Not only are they a cherished Christmas treat, but the recipe for them is a family heirloom: Chris has her Aunt Gloria's original hand-written recipe (check it out on her post). Unlike her mom, Chris is a soft biscotti kind of gal, but as she says, "either way, they taste fabulous and are perfect with coffee!" I couldn't agree more. Susan V of Fat Free Vegan Kitchen from Jackson, Mississippi, USA. 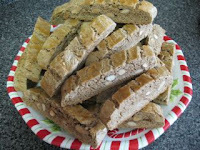 Susan offers a Fat-Free Gluten-Free Gingerbread Biscotti that tastes great too. Her daughter loved them, and who knows cookies better than kids? Thanks to Susan's experimentations and ingenuity, we can all try making her wonderful recipe the next time we want a guilt-free treat. Be sure to check out Susan's post to learn about baking with different types of flour. Jelly of Fragole & Cioccolato from Milan, Italy. Santa's in for a real treat on Christmas Eve when he visits Jelly's house. She's baking him Chocolate and Mint Cookies. Since they're made with egg whites, they're really light, so Santa will be able to eat a couple extra with his glass of milk. Food Hunter's Guide to Cuisine from Arizona, USA. Food Hunter's mom always had a strict no-eating-Christmas-cookies-until-Christmas policy in their house. To get around this, Food Hunter started helping her mom bake. Ironically, it's her mom who now wants to nibble on the cookies before Christmas. But it sounds like she'll just have to wait to enjoy these merrily decorated Butter Cookies. Anthony of Defient Chef from Abingdon, Virginia, USA. Flavored with cinnamon, nutmeg, and molasses, Anthony's Gingerbread Biscotti must be as delicious as they are aromatic. Make them even better by dipping them in white chocolate like Anthony did, because, really, who could argue with that combination? Nags of For the Cook in Me from Hyderabad, India. Nags loves the taste of rich, buttery sugar cookies, but she doesn't love the fat. So this year she tried a recipe for Low-Fat Christmas Sugar Cookies and was thrilled with how well they turned out. Low on fat and high on flavor--that would make anybody merrier. Helen of Tartelette from Charleston, South Carolina, USA. Helen enjoys using a mix of traditional family recipes and new ones for the holidays. 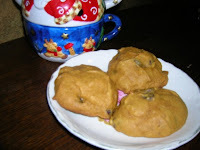 Today she shares a recipe she has adapted for elegant Pistachio Cocao Nibs Cookies. These light, crumbly cookies are scented with vanilla and flavored with a splash of Cognac. I would save these for the grown-up's table. Remya of Spices and Flavours from Seattle, Washington. Though she likes the many varieties of American cookies she has found since moving to the US, Remya's favorite cookie is Nankatai, a traditional Indian shortbread cookie. Remya loves both sweet and savory Nankatai, but is sharing a recipe for buttery, sweet, vanilla flavored Nankatai that are beautifully garnished with almonds. Julie of A Mingling of Tastes from Fort Lauderdale, Florida, USA. 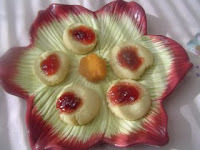 What do you get when you take a traditional thumbprint cookie and fill it with festively colored icing instead of jam? 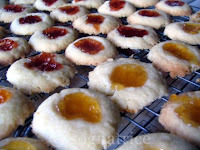 My Favorite Thumbprint Cookies. The original recipe came from Julie's grandmother, and like most grandma recipes, this one is tried-and-true, and melt-in-your-mouth delicious. Peabody of Culinary Concoctions by Peabody from North of Seattle, Washington, USA. When I think of Seattle, I think of Starbucks. Now I'll think of Peabody too. Inspired by her love for the candy, Almond Roca (another Seattle culinary treasure), Peabody created cookies that have it all-- Candy Cane Roca Cookies. 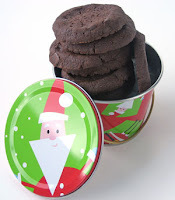 They are satisfyingly chewy and chock full of crunchy pieces of rich chocolate toffee and tingly candy canes. Sound addictive? They are. Robin of Home Economics from New York City, USA. Robin had a lot work to do on Sunday. So in between her chores, she made Cinnamon Palmiers. Robin found the repeated rolling and chilling of the dough to be so relaxing, that before she knew it, all the bills were paid, and she was sinking her teeth into sweet, caramelized palmiers. Katy of Sugar Laws from New York, New York, USA. Katy was smitten at first sight. She took one look at the Sesame Ginger Cookie recipe in her December Cooking Light and decided to make them. After some ingenious tinkering, Katy came up with a wonderfully savory cookie made with tahini, sesame oil, ginger, and even a splash of soy sauce. Like Katy says, they may not be traditional Christmas cookies, but they are delicious. Hey, that's all we're looking for. Chris of Mele Cotte from Atlanta, Georgia, USA. A few years ago, Chris had never heard of Pfeffernüsse, a traditional central European Christmas cookie. Now Pfeffernüsse and Christmas are one-in-the-same for Chris. They will be for you too when you see this recipe which contains redolent cardamom, cloves, and nutmeg and sweet, sticky honey and molasses. I just hope I don't have to learn to spell them in order to make them. 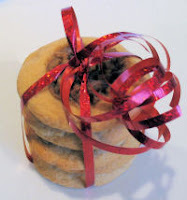 Be sure to visit Chris's site where she's doing a 12 Days of Cookies! Yes, more cookies! Chelsea of Rolling in Dough from Denver, Colorado, USA. Since her family is Swedish, Chelsea could make any number of classic Swedish cookies for Christmas. 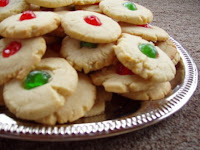 However, she has decided to continue her grandmother's tradition of baking Spritz--light, sweet, buttery cookies that she festively decorates with colored candy sprinkles. Fortunately, Chelsea persevered the annual battle with her cookie press and is sharing her recipe and beautiful cookies with us today. Gretchen Noelle of Canela and Comino from Lima, Peru. Gretchen Noelle has never been that crazy about jewelry, except when it comes to bracelets. She adores them. So when she discovered a recipe for Vanilla Sugar Cookies with bracelets she was tickled. Now you can enjoy these elegant cookies; just be sure to wear matching earrings when you eat them. Sarah's photo is from Epicurious.com. Sarah of Sweet Teeth from Buffalo, New York, USA. Sarah is part of baking cooperative made up of the wives of dental students. Their aptly named group--Sweet Teeth--just made a refreshing and also delightfully named cookie: Chocolate Grasshopper Cookies. Made with both a mint and a chocolate ganache, these cookies will hop off the plate as soon as you set them in front of your guests. Susan of Sticky, Gooey, Creamy, Chewy from Sarasota, Florida, USA. There's a little friendly competition among the neighbors on Susan's street. What about? Christmas light displays. So this year Susan's husband pulled out the big guns--Bart and Homer Simpson on a sleigh (see her site for the pic). 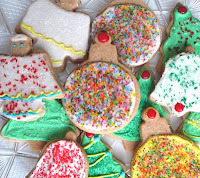 In the midst of this decorating frenzy, Susan stayed inside and baked cookies. 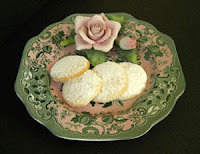 The first recipe she shares is for Sherry Yard's elegant and aromatic Rose Water Almond Tea Cookies. 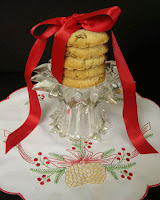 These lovely cookies would be perfect for Christmas, a bridal shower, or a tea party. 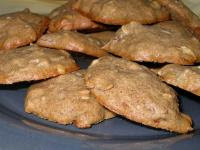 The second cookie recipe Susan shares is for intensely buttery, crumbly, and nutty Butter Pecan Cookies. Susan says they're a breeze to make, which makes any baker happy. Amy of Everyday Fare from Nashville, Tennessee, USA. Amy's been on a binge--a cookie baking binge. I don't mind. And you won't either when you see Amy's Sugar Twists. Be sure to check out her site for this simple to make recipe with step-by-step visual instructions. Eliza of Notes from My Food Diary from Oregon, USA. Eliza brought her Chocolate Thumbprints to a cookie exchange last week. Can you imagine the recipient's look of delight when presented with Elizabeth's cookies? 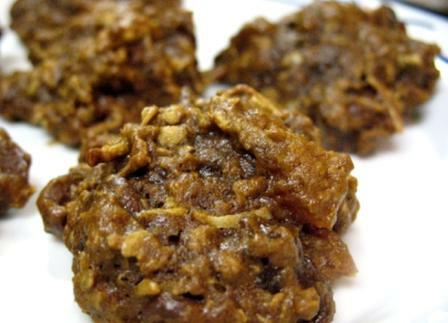 These chewy, nutty, gooey treats are chock full of pecans and cocoa powder. The only problem is you won't be able to stop at one. Or two. Maybe three, but don't count on it. Karyn of Hot Potato from Maryland, USA. Karyn's a self-confessed Grinch. She winces at the sound of Christmas music and frets over the energy wasted on decorative lights. However, in spite of her Grinchness, she likes --no, loves--to bake Christmas cookies. 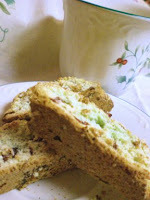 Lucky for us, she shared the recipe for the adorably named Santa Baby Biscotti. If these biscotti don't make your heart grow, then I don't know what will. Linda of Make Life Sweeter from The Hague, Netherlands. Linda's been on a spending spree. She can't stop buying cookie cutters. She has bells, snowmen, angels, and, her favorite, trees. These Gingerbread Cookie trees are so festively decorated with Royal icing and candy toppings that they look as if they've been draped in real tinsel and ornaments. Daphne of More Than Words from Perth, Western Australia. Is there anything not to love about a cookie named Nutella Dark Chocolate Cookies? Daphne knows the answer to that question, which is why she's making these sinfully decadent cookies for a party. Be warned, Daphne says you can't stop at one. Jaden of Jaden's Steamy Kitchen from Tampa, Florida, USA. 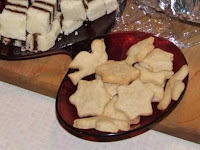 Mimi's Shortbread Cookies are simply the best and easiest shortbread Jaden has ever had, and she's sharing the recipe with us. She's also sharing her tips on how to manage a successful holiday season after marriage. In a nutshell, don't touch his bbq grill, make his mother happy, and spend his money on Botox so you look 30 when he looks 80.
jenjen of Milk and Cookies from Sydney, Australia. jenjen had relationship problems with Martha. Yes, that Martha. 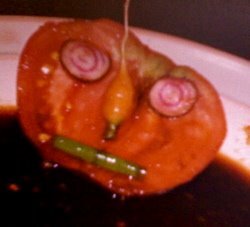 You see, jenjen had one to many near catastrophic recipes from Martha and was ready to sever ties indefinitely. Until she made her Double Chocolate Cookies. Since savoring these remarkably moist, intensely chocolate-y cookies, jenjen envisions halcyon days in their future. Vineela Krishna of Vineela's Cuisine from Burbank, California, USA. Vineela shares a recipe for exotic Avocado Dry Fruits Nuts Biscotti made from creamy avocado, earthy pistachios and pecans, and a medley of tangy-sweet dried fruit. These festively colored and aromatic biscotti would be lovely on a Christmas cookie platter or with a cup of afternoon tea. Sarah of Sweets by Sarah from Richlands, NC. Though Florentines have always been a favorite of Sarah's mom, Sarah never even considered making them herself. Until she found a recipe for them in her email inbox and thought she'd give them a try. Seeing as she has rated these Florentines a "5" on "5" for deliciousnesses and ease of making, I think we should all be grateful that Sarah has been checking her email frequently. Aren't they lovely? Judy of No Fear Entertaining from Cape Coral, Florida, USA. 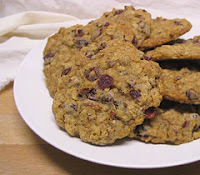 We have Judy's sister to thank for her Oatmeal Cranberry Chocolate Chunk Cookies. That's because on a recent trip to Judy's house, her sister couldn't stop raving about them. Apparently, she wasn't exaggerating-- Judy's "non-cranberry loving husband" adored them too. So will you. Maya of All About Konkan from Dallas, Texas, USA. Maya shares a deliciously wholesome and healthy cookie with us: Oatmeal Delights with Dried Banana. Made with rolled oats and whole wheat flour, these are bona fide "guilt-free" Christmas cookies. Does that mean I can eat as many as I want? Mary of Shazam in the Kitchen from Ohio, USA. Since Mary isn't a huge fan of mint, she considered skipping her Mint Chocolate Cookies this year. That is, until Mary was "met with an outcry" from her friends who love her mint chocolate cookies. I can't blame them, really. These chewy, chocolate-y cookies are rich yet refreshing and perfect with a glass of cold milk. Meeta of What's For Lunch, Honey? from Germany. Despite the frigid, rainy weather outside, Meeta feels warm and cozy inside. That's because she just made Vanilla Kipferl, a classic Austrian Christmas sweet, enjoyed in Germany, Switzerland and Austria. Fortunately, you can enjoy these lovely cresent shaped buttery cookies no matter where you live since Meeta is sharing the recipe with us here. Rachel of Coconut and Lime from Baltimore, Maryland, USA. 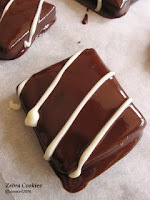 Did you know that there is such a thing as York Peppermint Patty baking pieces? Well, you do now, thanks to Rachel and her mom. So go to the market this week, pick yourself up a bag (or two) and make Rachel's recipe for fudgy, peppermint-y York Peppermint Patty Brownie Cookies. You'll be glad you did. Dhanggit of Dhanggit's Kitchen from Aix en Provence, France. Thank goodness Dhanggit came back in one piece after her snowboarding adventure. 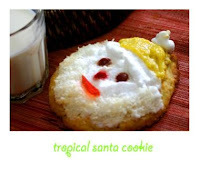 Or else we wouldn't get to admire her unique and festive Tropical Santa Cookies--almond-ginger-lime cookies topped with a sweet mango puree and fluffy coconut flakes. The Happy Cook of My Kitchen Treasures from Belgium. No wonder this cook is happy-- she's been eating Melting Moments, named so because they are melt-in-your-mouth delicious. These puffy, sweet sandwiches are made from two cookies filled with rich buttercream and fruity raspberry jam. They're like a non-chocolate version of a Whoopie Pie and would make any cook happy. Bee and Jai of Jugalbandi from Northwestern, USA. Sadly, Bee and Jai never had a cookie they loved. Until now, that is. They are smitten with a recipe for nutty, crispy Ricciarelli (Tuscan Almond Cookies with Orange and Fennel), which would convert any non-cookie-lover. Tempered Woman of Tempered Woman from St. Louis Missouri, USA. First they were her mom's #1 Christmas cookie, now they're her #1. These Cream Cheese Christmas Squares are soft, chewy, and positively merry when topped with a red or green candied cherry. Check out her blog for a chocolate version too. Nidhi of Charche Chauke ke from Ann Arbor, Michigan, USA. Nidhi shares one of her mother's traditional Indian sweets: guna. Though guna are usually fried, Nidhi wanted a lighter, healthier version, so she baked hers instead and used whole wheat flour. Her Baked Guna may be lacking in calories and cholesterol, but with savory walnuts, almonds, and cardamom, they sure aren't lacking in flavor. Deeba of Passionate About Baking from Gurgaon, North India. Deeba wanted to spice things up a bit. So she took traditional shortbread cookies and transformed them into Spicy Cinnamon Shortbread Cookies. 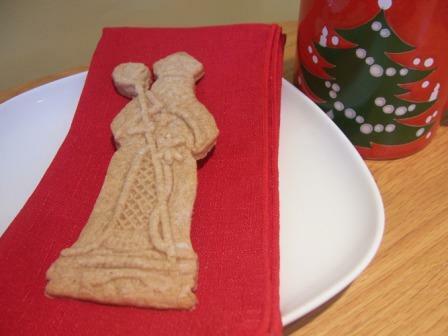 By topping them with extra cinnamon and brown sugar, Deeba really perked up her shortbread this year. Suzana of Home Gourmets from Lisbon, Portugal. I'm sure that, like me, you've had breads and bagels with poppy seeds; but, have you ever had a cookie made with them? 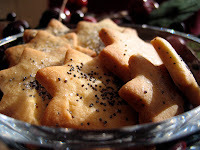 Suzana hadn't, so she created a recipe for delicious Orange Cookies with Poppy Seeds. These citrus-infused star-shaped treats are sprinkled with pretty purple poppy seeds. I'm sure that Suzana will be making these again and again. Denise of Chez Denise et Laudalino from San Fransisco, California, USA. Denise shares a traditional French cookie with us: Macarons. Denise used a rich, traditional Italian buttercream filling combined with dark chocolate or with festive peppermint-y crushed candy canes. She recently brought a prettily wrapped package to a Christmas Cookie Swap, where I'm sure the recipient of her macarons was thrilled. Shn of Mishmash! from the USA. 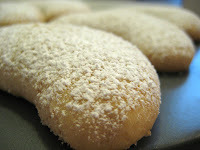 Inspired by a recent beautiful snowfall, Shn baked these elegant Mexican Wedding Cookies. These simple-to-make treats are filled with chopped pecans and dusted with sweet confectioners' sugar. Shn says they melt in your mouth, and that they are the best cookies she has ever baked. Considering how scrumptious they look, I don't think she's kidding. Sylvie of Soul Fusion Kitchen from Los Angeles, California, USA. Although Sylvie has many adorable cookie cutters, including Christmas bells and snowmen, she didn't have one that "shouted snowflake." So off she went to the kitchen gadget store, and aren't you glad she did? Now we can gaze at her beautifully decorated and uniquely colored No Fail Sugar Cookie snowflakes. Mike of Mike's Table from Florida, USA. Mike lives in a rural area of Florida where has some trouble finding good Jewish food like bagels, latkes, and rugelach. 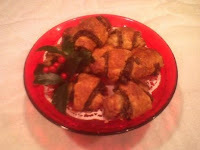 So Mike decided to make his own Rugelach this year, well actually, three types of rugelach. The most traditional version is filled with sweet apricots, raisins, and walnuts; the second has delectable honey, dates, and pecans; the third has a winning combination of chocolate and hazelnut. I can't decide which of the recipes I like best, so it's looking like I'll be making three types of Rugelach too. Wandering Chopsticks of Wandering Chopsticks from Southern California, USA. What do you get when you add cinnamon, nutmeg, ginger, and molasses to the Original Nestle Toll House chocolate chip cookie? Slight Spiced Molasses Cookies. Aparna of My Diverse Kitchen from Kochi, India. 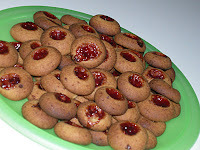 Aparna shares a typical Christmas food enjoyed in Kerala, India: Achappam (Rose Cookies). "Achu" refers to the iron mold used to shape the cookies, and "appam" refers to the batter that is fried or steamed. 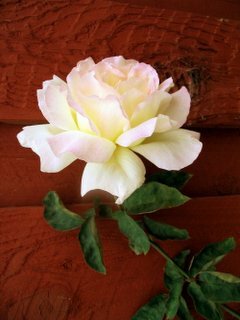 Aparna's Achappam are a lovely cross between a rose and a snowflake and would be a beautiful addition to your Christmas table no matter where you live. Amy of Everyday Fare from Nashville, Tennessee, USA. Amy and her son are ready for Christmas--they've decorated the tree and have kicked off their baking extravaganza with pretty Jam Thumbprints. Children love to bake these cookies because they have fun making the thumbprints in the dough (I know I always loved that part, and still do). Rolled in coconut flakes and filled with fruity jam, these cookies are a truly sweet treat. Kathy of Wednesday Food Blogging from London, England. As soon as Kathy saw the the original recipe for her cookies, she immediately concocted a way to "veganize" them. The result? A rich, refreshing, and delightfully named "Mintalicious Chocolate Bars." It seems Kathy's a great baker and has a future as a neologist. Kristen of Dine and Dish from Shawnee, Kansas, USA. Kristen loves traditions, and she loves to bake. Gingerbread men are one of her favorite holiday baking traditions, and this year, she is sharing the best gingerbread recipe she has ever seen: Sandi's Gingerbread Man Cookies. Made with Karo Syrup, brown sugar, and cinnamon, these little guys are as sweet as they are cute. Arfi of Homemades from New Zealand. It seems a lot of people will be receiving yummy homemade cookies this year, like Arfi's neighbors. The boys will get to feast on Arfi's decadent Bailey's chocolate truffles and these festive Chocolate Snowdrops. Not only are these snowdrops chock full of almond pieces and rich cocoa, but they're also easy to make. What's not to love? Arfi of Homemades from New Zealand. Arfi's delightfully named Zebra Cookies are as elegant as they are scrumptious. Chocolate-y, buttery cookies are dipped in rich, dark chocolate and drizzled with royal icing. Oh, my. Debra of Subtle Nuances from Plano, Texas. Get your ginger fix with these Chewy Gingerbread Cookies, made with pieces of spicy crystallized ginger and crunchy Macadamia nuts. Debra's home was warmed with the spicy aromas of ginger, cinnamon, and cloves, and her heart was warmed by the compliment she received from her boyfriend's father who enjoyed her cookies. Stephanie of Cupcake, My Love from Albuquerque, New Mexico, USA. Stephanie is ready for the holidays and has been baking up a storm of traditional Christmas cookies, including these adorable Snowflake and Snowmen Sugar Cookies. The only problem is, Stephanie feels guilty biting off the heads of the snowmen. It hasn't stopped her--the icing is too irresistible. Neema of Recipeswap from North Carolina, USA. Neema revels in the holiday spirit when she thinks of singing Christmas carols, decorating the tree with twinkling lights, and exchanging presents with friends. She stays warm by sipping hot cocoa and baking Christmas goodies like these deliciously chewy and simple to make Chocolate Almond Cookies. Cris of From Our Home to Yours, from Sao Paulo, Brazil. Last year Cris received a bundle of Congo Bars at a Christmas gift exchange and was instantly smitten. Who could blame her? Chock full of earthy Brazilian nuts and sweet chocolate chips, these cookies are rich, moist, and decadent. So why not whip a batch or two of Cris's cookies and spread some good cheer by giving them as Christmas gifts to friends this year. They'll be forever grateful. Deeba of Passionate About Baking from Gurgaon, North India. 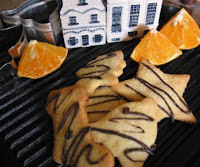 Deeba infuses buttery shortbread with fragrant orange zest in her Orange Shortbread Cookies. These festive star shaped goodies would put a smile on anyone's face, especially when drizzled with rich, melted chocolate. Michelle of Scribbit from Anchorage, Alaska, USA. 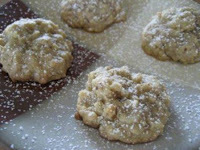 Michelle offers us easy to bake yet elegant Praline Cookies, or as Michelle's daughter Grace calls them, "Praline Maria Cookies." I'm a Sound of Music fan, so that just warmed my heart. 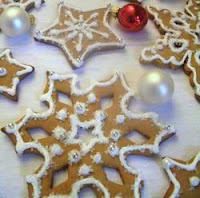 For an added Christmas touch, you can sprinkle them with snowy white powdered sugar before serving. Michelle of Scribbit from Anchorage, Alaska, USA. Michelle offers another cookie recipe that kids (and adults) will adore: Snicker Cookies. Unlike Snickerdoodles, those delicious cinnamon sugar treats, these cookies have actual chunks of chocolate-y, nutty, caramel-y Snickers bars in them! Suzana of Home Gourmets from Lisbon, Portugal. What do you do when it's cold, wet, and foggy outside? You stay indoors. You bake elegant Viennese Cookies. Then you dip the cookies in decadent Lindt 70% Cacao chocolate. 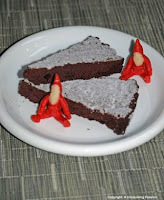 You could also make them merrier by adding a red cherry in the center, like Suzana did. Mansi of Fun Food from California, USA. What's the only thing better than chocolate chunks in cookies? Marshmallows and chocolate chunks. 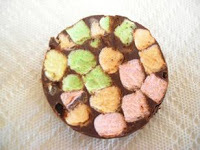 That's why Mansi shares a recipe for Marshmallow Chocolate Mud Cookies. Just make sure that you have some cold milk to wash down these deliciously chubby, chewy cookies. Mansi of Fun Food from California, USA. 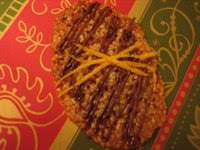 Mansi offers a classic cookie with a twist--a citrus twist. 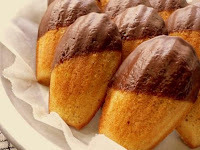 She has baked aromatic orange zest and vanilla essence into her Chocolate-Dipped Orange Madeleines. So, what do Mary Magdelen, the French Revolution, and Madeleines have in common? You'll just have read Mansi's post to find out. Dana of Proof of the Pudding from Washington, DC, USA. Dana has an addiction. To everything gingerbread--cakes, lattes, and Crisp Gingerbread Men. Part of Dana's quenchless craving comes from a desire to re-create the soft, chewy, and perfectly spicy gingerbread men of her youth. 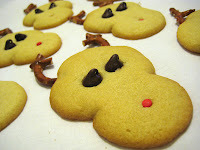 Her quest for that cookie recipe continues, but that shouldn't stop you from baking these cute little guys. It won't stop me. Namratha of Finger Licking Food from Atlanta, Georgia, USA. The holidays remind Namratha of good cheer, festive decorations, and "never ending goodies" like her Butter and Jam Cookies. These buttery discs are filled with sweet, red strawberry jam, which really is finger licking good. Why not follow Namratha's lead and wrap the cookies, tie with colorful ribbons, and give them to friends for a Christmas gift. Sara of Ms. Adventures in Italy in Milan, Italy. Sara was inspired to make a batch of Sicilian Pistachio Cookies after a generous vendor at the Artigiano in Fiera gave her a gelato cup full of savory Bronte pistachios and olive oil. Since cookies "must have chocolate," Sara dipped these cheerful stars in melted chocolate and decorated them with colored candy sprinkles. Now, they're not only irresistible, but they're also a delightful Christmas gift. Kara of What's Kookin' in Kara's Kitchen from Alexandria, Virginia, USA. 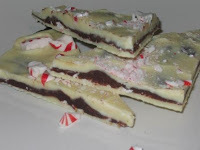 Kara offers us a refreshingly merry treat: Layered Peppermint Crunch Bark. Kara (who shares my affinity for listening to a lot of Christmas music) loves to make this bark, since it "ALWAYS" tastes great. I trust Kara on this one, but making a batch of this recipe to taste myself couldn't hurt. T.W. of Culinary Types from Long Island, New York, USA. T.W. presents uniquely lovely Dutch Speculaas Cookies which are rich with butter and with history. T.W. writes engagingly about food history, and I encourage you to visit his site to read about Dutch Speculass Cookies and Saint Nicholas. These spicy almond butter cookies are baked in attractive hand-carved cookie molds made from beech and cherry hardwoods; T.W. 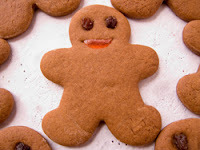 has two of them for his "yuletide baking." Becky of Junctify Eats from Bristol, United Kingdom. 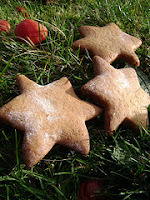 Becky shares her delightful Gingerbread Stars that are photographed in the wild. These fragrant, chewy gingerbread cookies turned out so well, that she has decided to leave a batch in the hallway of her flat. Like Becky says, "gotta keep the neighbours sweet and just a little bit spicy." Carrie of Carrie's Cooking Adventures from The Twin Cities, Minnesota, USA. Carrie shares her Peanut Butter Delights (stacked above) which are her all-time favorite Christmas cookies. 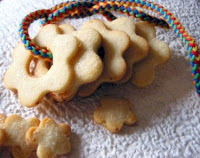 Made from Ritz crackers, peanut butter, and almond bark, I'm almost afraid to make them, as they must be addictive. Well, not that afraid. Previously known as "ritz peanut butter things," Carrie renamed them for this event. No matter what you call them Carrie, I'm sure they won't last long. Melinda of Melbourne Larder from Melbourne, Australia. 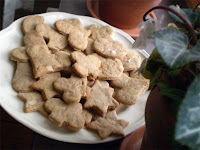 Melinda shares a special Christmas cookie with us: her Aunt Margaret's Lebkuchen. 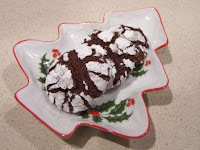 These Austrian Christmas biscuits have been a favorite of Melinda's family for years, and this Christmas, Melinda finally obtained the recipe and made them herself. Now, she will continue the family tradition. 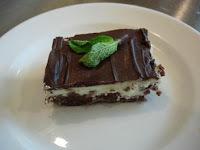 Check out her post for her lovely story and delicious recipe. Katiez of Thyme for Cooking from France. Katie shares four scrumptious cookies with us because, really, four are better than one. Right? The cookies on the left are Katie's Ginger Chocolate Chip Cookies. Made with molasses, cinnamon, and cloves, these cookies will fill your home with the sweet smells of Christmas. The ones on the right are Katie's Peanut Butter Chocolate Oatmeal Cookies. Since they're made with oatmeal, I wonder if they count as breakfast. Katie's third recipe combines dark chocolate, milk chocolate, and cocoa powder. Hence, the delicious name: Triple Chocolate Cookies. Katie's final recipe is a real time-saver. 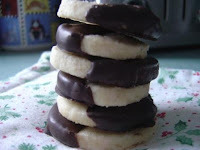 Her Ice-Box Cookies can be made several days in advance and baked whenever you have the time. We could all use a recipe like this one. Margot of Coffee and Vanilla from London, UK. 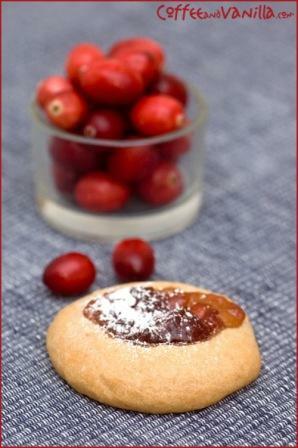 Margot shares her beautifully photographed Cranberry Jam Cookies. They are lovely to admire and easy to make. 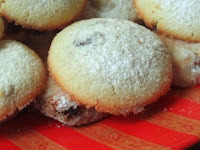 Dusted with a little snowy white icing sugar, these jam cookies are positively festive. Elle of Feeding My Enthusiasms from Northern California, USA. 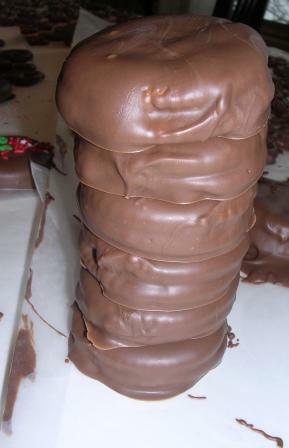 Elle offers us chunky, chewy, nutty, chocolate-y Chocablocks from the ultimate baker, Dorie Greenspan. Who wouldn't love these cookies made from dried fruits, nuts, chocolate, and coconut? I wish I worked with Elle -- she's bringing a batch to her office holiday party this week. Wendy of A Wee Bit of Cooking from Iverness, Scotland. 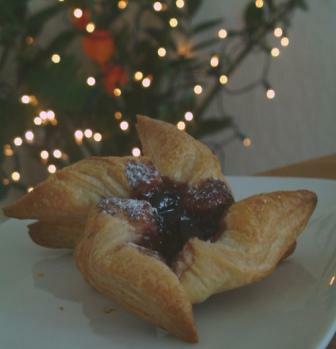 Wendy presents beautiful Joulutorttu, (Finnish Christmas tarts). These elegant pinwheel shaped tarts would make a splendid addition to any Christmas table. Wendy suggests eating them warm from the oven with a steaming glass of glogi, a Finnish mulled wine. I'll take her advice on that one. Deeba of Passionate About Baking from Gurgaon, North India. Deeba shares her festively decorated Christmas Iced Cookies which would be a beautiful addition to any cookie tray. In true Christmas spirit, Deeba plans on baking another batch a little closer to Christmas so the children can use them to decorate a small Christmas tree. So sweet, just like Deeba. Susan of Food Blogga from San Diego, California, USA. I'm sharing my all-time favorite Christmas cookie recipe for Hello Dolly Cookie Bars. These gooey, chewy, chocolate-y, nutty cookies are so outrageously addictive that my mom would often make extra batches because we'd eat too many of them before we assembled our Christmas cookie trays. Gattina of Kitchen Unplugged from Barcelona, Spain. Like everything Gattina creates, her Fig Christmas Wreaths are stunning. Though I could eat these cookies any time of the year, Christmas seems particularly appropriate for such festive treats made with figs, orange zest, chocolate, almonds, and anise seeds. 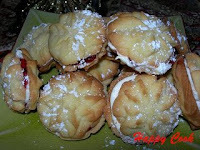 Make sure to visit Gattina's site to see her recipe and tutorial on how to make the cookies. Be warned: you'll likely spend a lot more time there admiring her fabulous culinary creations. Rachel of Tangerine's Kitchen from India. 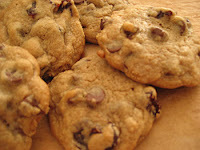 I got all excited when I read the name of Rachel's submission: Chunky Chocolate Cookies. My excitement was clearly warranted; they are made made with chocolate chips, brown sugar, and vanilla essence and look so plump and yummy that I'm resisting the temptation to run into my kitchen and bake them RIGHT NOW. I've got more free time on Saturday though.... Anh of Food Lover's Journey from Melbourne, Victoria, Australia. 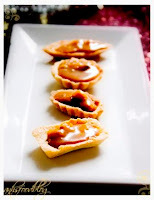 Anh presents delicate yet "dangerously addictive" Swiss Bettinas, mini-tartlets filled with chopped walnuts and rich caramel. Not only are these tartlets lovely to look at, but they are also easy to make and quite versatile. Anh says that the tartlets can be baked up to a week in advance then filled with delectable chestnut cream, melted chocolate, or fruit jam. I'll take her suggestions and try all three. Deeba of Passionate About Baking from Gurgaon, North India. 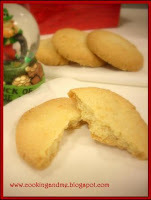 Deeba shares a classic holiday cookie with a twist: Lime Shortbread Cookies. 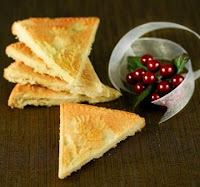 Rich, buttery shortbread is enlivened with tangy lime zest and lemon sugar for sprinkling. For an even more kid-pleasing version, she made chocolate shortbread sandwiches by placing a layer of ganache between two cookies! Who wouldn't love that (at any age)? Lisa of Homesick Texan from New York, USA. What would life be without mom's homemade cookies? Fortunately, Lisa doesn't have to find out because her sweet mom mails them to her. Mom's Raspberry Bars made from raspberry preserves, sliced almonds, and vanilla chips are so beautiful, they'll make make you want to sing (like Lisa). 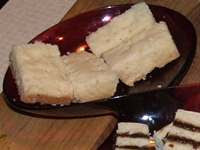 Always a hit with her guests, these bars were described as "pure heavenly decadence," by one eater. Need I say more? Manisha of Indian Food Rocks from Colorado, USA. Manisha presents a special recipe for Nankatai, a treat that made her Diwali celebration extra special this year. Made with ginger, cardamom, and nutmeg, these cookies will fill your home with the warm fragrances of the winter season. 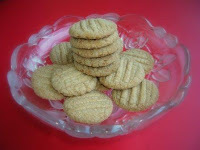 To learn more about these "golden powdery ghee-laden Indian cookies," check out Manisha's post. Deeba of Passionate About Baking from Gurgaon, North India. 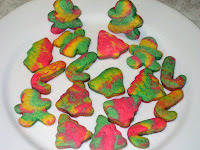 Deeba shares her recipe for Stained Glass Cookies that can also be used as Christmas tree decorations! 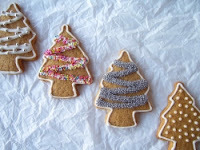 Children would just love making these cookies then decorating their trees with them. Plus, they make a beautiful gift for adults too--hint, hint. Manggy of No Special Effects from The Phillipines. 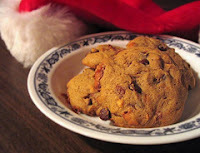 Manggy has sent us a classic Christmas cookie--Thick and Chewy Gingerbread Cookies. These are Manggy's first gingerbread cookies, courtesy of Cook's Illustrated, and they are simply precious. Children and adults will absolutely love them! Chef JP of The Chef From Hell from Lindenhurst, New York, USA. 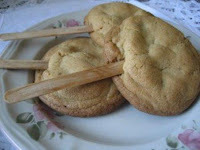 Chef JP has sent us a real treat--the recipe for Santa Claus's favorite cookie: Snickerdoodles! Santa enjoys them with a cup of Mrs. Claus's special cocoa, and you will too. Check out JP's site to discover the secret ingredient. Deeba of Passionate About Baking from Gurgaon, North India. 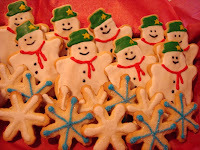 These festive Iced Sugar Cookies are fun to make and delicious to eat. Passionate Baker says they are her "all time popular cookies that kids love." I know plenty of adults who would love them too. Janet from Rhode Island, USA (Food Blogga's mom). 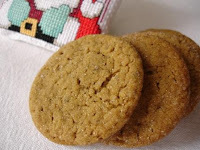 Janet shares my grandmother's recipe for Molasses Cookies. Made with dark molasses, black pepper, and orange zest, these cookies are sweet and pack a zing. Janet says, "Every year when I made my Christmas cookie trays, I topped each one with a molasses cookie. The recipe was my mother’s, and they were always the crowning glory of my cookie trays. To this day, they remain my favorite Christmas cookie and bring back memories of baking with my mother who is now 99 years old in a nursing home." Deeba of Passionate About Baking from Gurgaon, North India. Deeba's Biscotti are so scrumptious that you won't even leave the crumbs behind. Made with olive oil, pistachios, currants, and chocolate chips, I would love to receive these biscotti as a Christmas present. I like to bake my Christmas cookies just 2 days before Christmas...I'll have to save the photos for next year. Beautiful cookies always make people smile! Much more fun to bake than to shop. I'm torn between those biscotti with the pistachios and Janet's Molasses cookies -- actually, it's both the zingy cookies but her story that grabbed my attention. I thought I would be the first ones sending you a entry *lol* Ladies, these are gorgeous! Wow! Who knew we'd have Christmas cookies so early! I'd better get moving! Great-looking entries! Jaden-We went to the movies and even had to circle the parking lot there! SJ-What kind of world would it be without chocolate? Chris-Yum...I'm looking forward to it! Diane-She'll be so happy to hear that the story touched you. Gattina-Any time is fine! And thank you for the kind words. You always make me smile. I am going to try your Mom's molasses cookies during winter break with my daughter. I'd like to try the stained glass cookies, too! It would make a great theme for a little girls' tea party, I think! They could each take their cookies home with them! Thank you so much for including my nankatai! Wow, they all look so good! I wish there were kids around to eat all of them if I made them here, heh. Thanks for including me! Great stuff Susan...Manisha's nankhatai's look so good, & the molasses biscotti, and the gingerbread men! And for Manggy...there's a kid in all of us waiting to catch the cookies & crumbs!! O boy...ring in the season!! Manggy-That's a great idea, actually! You're so welcome; and many thanks to you for participating with your festive submission! Deeba-I think the kid in me is getting bigger after seeing all these yummy cookies! I enjoyed seeing christmas cookies and pastries. Regarding of persimmon, we, in Japan, dry it and eat it as snack in winter. We call it Kaki in Japanese. Susan, thanks for your kind words and including my cookies :) . Glad to know that you had such a special Thanksgiving's. I possbily fly back to the States in January to visit my husband's family and my hispanic friends, will see if I speak to them in (little) Spanish (yes, I'm taking a course now). Last but not least, it is an excellent idea of yours to start this Cookies special early! I really enjoy every moment of my visits here! Min-I'm glad. Kaki must be delicious. Gattina-Thanks for your beautiful cookies! I wish I were closer to New Jersey to meet you when you visit. I wish you safe and happy travels! dhanggit-No worries. You have until the 24th, or preferably the 17th, so happy baking! A great roud-up! All those cookies are great! Have I got a recipe for you! I will get it off as soon as I can! Beautiful! I need to post my contribution, after all, I don't see anyone from S.America in the map! Linda-I'll be looking forward to them! Cris-That's true! I hope you do! i baked mine, and they fell flat, so i'm trying again, but different strategy! (still tated good though!) i want a bite of all of those pictured! mmm! You have me *so* missing my mom's Christmas cookies! She did send me some chocolate chips, though, so I'll at least have to give those a go. Hey there Susan...WOW! You've got s uper collection...and they are really flying in FAST! Love the way you're posting them in,map & all!! WAY TO GO!! wow. so many amazing biscuits (sorry, cookies). Christmas does seem to be the best time for baking. Oh wow... all of these cookie recipes, so little time. I don't see a single one up there that I would eat! My big baking day is next week. I'll be sure to mail some your way! Who knew Indian biscotti could look so good? Sognatrice-I know, I'm missing my mom a lot lately too. Someone who likes to bake-Well, thank you! And thanks to your daughter. I'm glad you're enjoying it. Kristen-It was my pleasure. Happy baking next week! WOW, my mom used to make Magic Cookie Bars, too!! She sent me the recipe from a Eagle Brand ad in a magazine just last year. 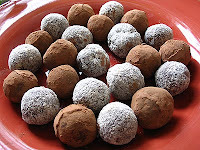 She sent me 2 dozen Cocoa Rum Bals too..they are ALL GONE...have to make more... http://allrecipes.com/Recipe/Cocoa-Rum-Balls/Detail.aspx All the recipes everyone made are beautiful, what a great way to spread the Joy! Cookies look gorgeous. I must bake soem too!! Keep it up Madam. It is really very good. Amazing set of baking goods! All cookies look yummy - it really feels like Christmas with such a nice set of cookies! Susan, thanks for accepting my Viennese and for your nice words. I look forward to trying many of the cookie recipes here for my holiday baking. Thanks again! Such a fabulous selection of cookies. I wish I'd had time to participate. I don't know why I thought moving house so close to Christmas was a good idea. I'm not even having a tree this year. Wow thats a whole lot of cookies from all over the world... what a fab event, you are doing a great job hosting Susan! 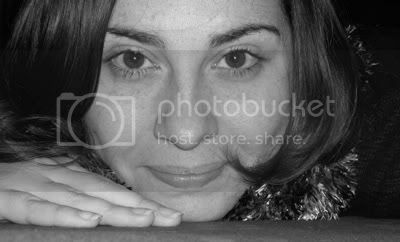 Suzana-It was easy to find nice words to say about you. Debra-It's my pleasure, and thanks to you too! Barbara-Good luck with the move! Girl! You are quick to update! That's a ton of cookies...and they all look good. What a beautiful roundup! Nice job, Susan! Wow this is an amazing roundup!! My mouth is watering after scrolling through all those delectable photos. This is totally awesome! There is no way I could choose a favorite. It's just a day in the life...of cookies around the world! Brilliant. Fabulous job with this on-going round-up and the map! What a wonderful roundup of delicious Christmas delights! So many cookies, so little time! Well done everyone!!! Totally awesome! Incredible job Susan! Good job all Cookie Bakers! Thank you so much for hosting this. I'm sure it was a lot of work to keep posting and summarizing all of the submissions. How fun to see all of the recipes. The post is inspirational and overwhelming all at once! Anali-Glad you like the map. Bradley-Oh, come on, you've gotta try at least one. Cakespy-I couldn't pick one favorite either! Bazu-I've been dreaming about cookies for a couple of weeks now. Bal-We are a pretty good team, aren't we? :) Kudos! Tracy-It was inspirational for me as well. Deeba-Oh, many thanks for your kinds words and lovely submissions. I just came back for another look...WOW! Fantastic round-up, Susan! And impressive variety of Christmas cookies - thank you so much for doing all this!! Your holiday cookie swap was such a wonderful idea--and obviously a tremendous success! Thank you for creating this priceless collection of homemade, heartfelt recipes. And Merry Christmas! Merry Christmas, Susan! And, thank you for this superb effort! It's going to be my post to come to when I am looking for cookies to make! I will be making yoru Mom's cookies later this week. I'll be back to tell you about them. 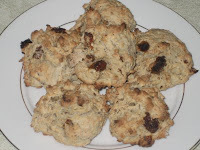 Excellent cookies and many eggless versions. Awesome. Thanks for hosting this wonderful cookie event. Lovely colorful entries. Hey Susan! Great round up. Thank you for hosting this event. Deeba-Oh, thank you. 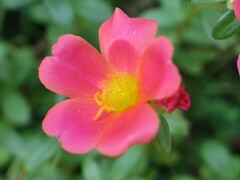 I wish you and your family the most beautiful and healthy new year as well. Pille-It is a stunning array, isn't it? Susan-I hope you had a Merry Christmas. The recipes are so inspiring. Manisha-That's wonderful to hear. I think it will be a helpful resource. 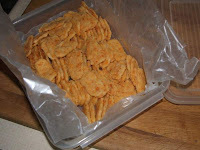 Mythreyee-I was so pleased with the wonderful variety of eggless cookies too. Wow! Cookie overload, but I love it!! I'm so glad to see some biscotti recipes...I tried making it for the first time on Christmas Eve and wasn't happy with the results. I'm excited to try the ones listed here. What a wonderful collection of biscuits(cookies)! I wish I had known about this before today, as I have been in a frenzy of baking leading up to christmas, and would happily have contributed. :-( Ah well, next time maybe! 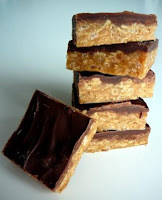 Recipes for Honey Snaps, Baileys Irish Cream Rice Crispies, Finnish Spice Biscuits and Chocolate Notes on my blog. Susan- What an incredible event! But like many procrastinators I was making cookies on Christmas eve. I am keeping a link to this list so I will be ready next year! A beautiful event - like everything you do - and wonderful entries. Tks for doing this for us! Wicked Good Dinner-I am too, as I love biscotti! Deborah-I'm sure you'll find some good ones for next year. Patricia-That's so funny you say that since I just recently got a huge roll of it. I'm pleased that everyone has enjoyed the event. It was my pleasure. What a fantastic project! Am glad the Philippines is represented here. Happy Holidays! Thanks for the terrific article and (especially) pictures! Susan, itś a wonderful mouthwatering list. 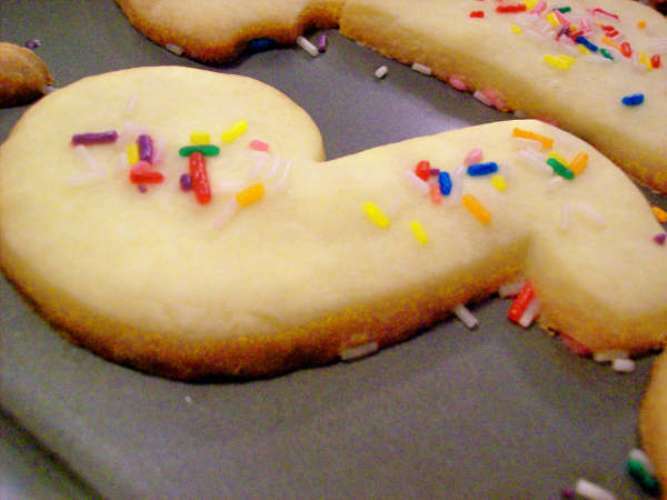 We never have to seek for a recipe for a cookie anymore. Itś been a hell of a job for you but itś worth all the effort. OMG! i LOVE your post! its so informative and comprehensive! GREAT job!!!! This was all exactly as you have beautifully written & photographed…well done!